If you are a media site with videos or blog posts, you can use a gated content style promotion to build your email list by offering a free article or video! The video can be set up using our video layer and can be played in the post engagement area for viewers. Below is a screenshot of what to look for when setting this up. For an article, you have a few options. Option 1: Use the hyperlink feature to place a link to a hosted PDF page within your site on the post engagement area of the overlay. Step 1: Using the hyperlink feature highlight the text you wish to place the URL for the PDF on. Step 2: Head to the editor after highlighting the text and find the link button, paste in the URL and hit save! 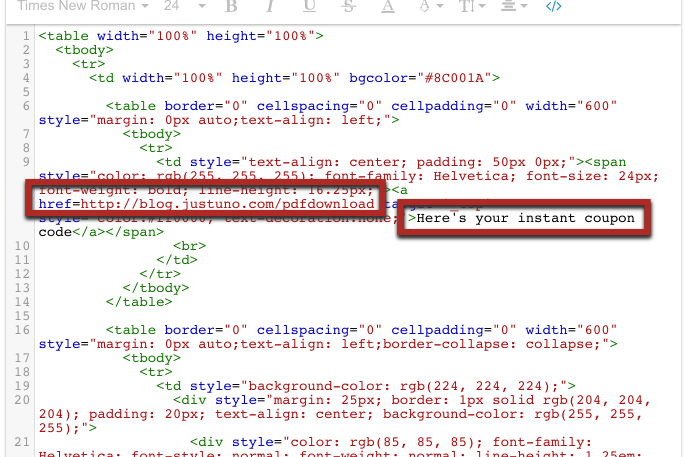 You can also upload your PDF file to your own website and then use that URL! 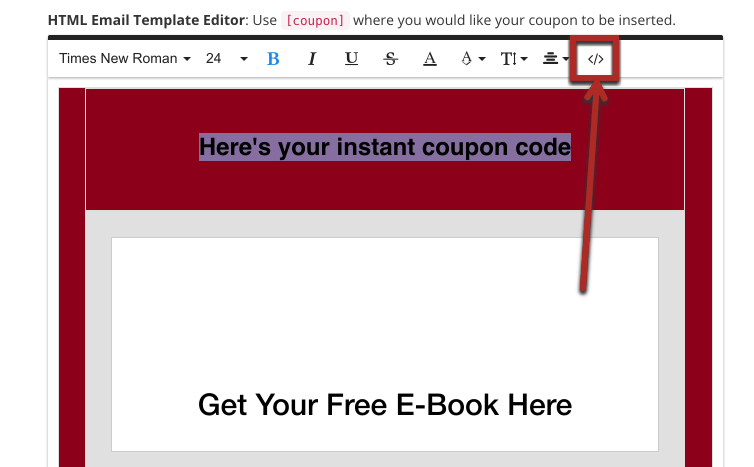 Option 2: Use the email after subscribing feature to send the customer a link to a downloadable PDF instead of guiding them to another page on your site. 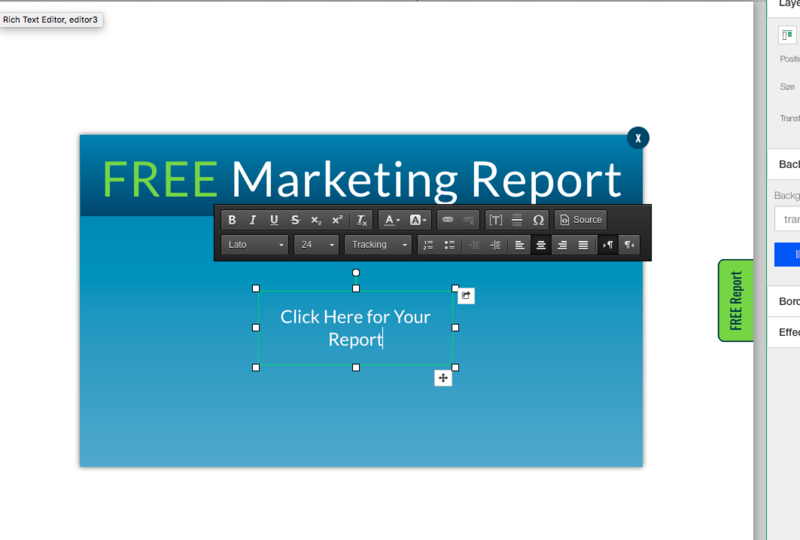 This can be beneficial for users to keep the PDF within their email while growing your list! 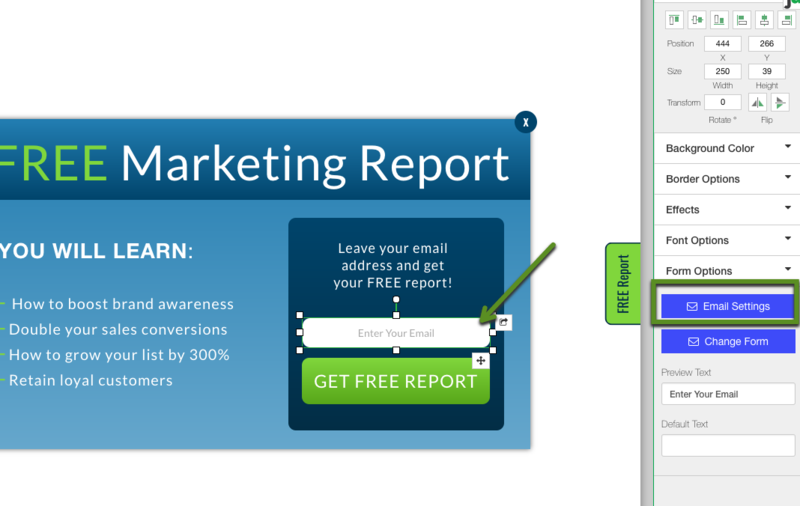 Step 1: Head to your design canvas and highlight the email entry area. Make sure its highlighted otherwise there will be no mail options on the right hand side!